The Scientific Inquiry (SI) course, a part of the Common Curriculum, has seen significant changes over the past few years. Previously, the wide range of scientific topics was scrapped in favor of a more focused investigation of evolution and cosmology. This year, freshmen focused exclusively on the topic of evolution, reading the book Why Evolution is True by Jerry Coyne. Students have expressed mixed opinions about the course thus far; some have concerns about its rigor and lack of clarity, but others view the course as enjoyable and intellectually stimulating. Taavishi Jindel ’20 thought that the goals of SI were “interesting and noble”. However, she felt that there were not enough “actual science activities”. 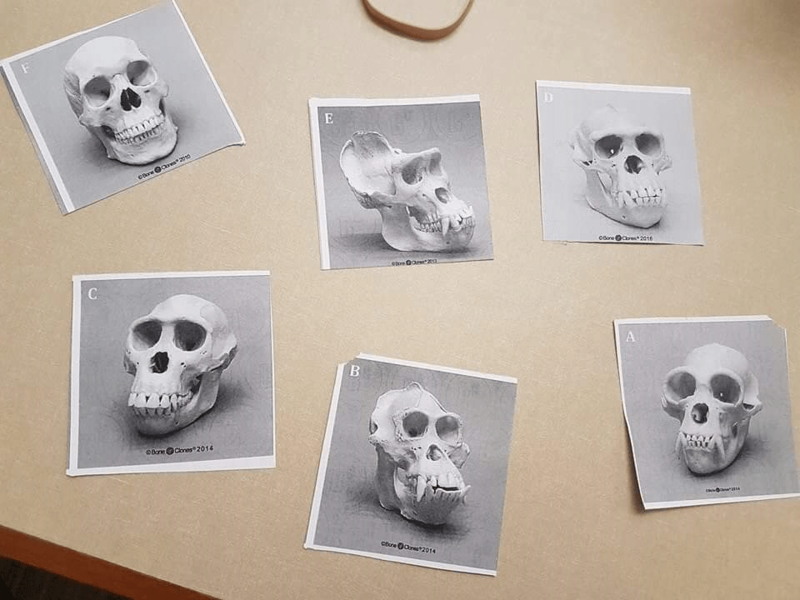 Quoting an example of a skull classification activity, where students were assigned to do various pre-determined types of measurements on a set of skulls, Jindel felt that “we weren’t taking extremely precise measurements”, and that the descriptors used for the skulls were vague. Some skulls that students had to classify. The structure of SI has changed significantly over the past few years, but there are still similarities in students’ sentiments about the course. Previously, controversies surrounding a particular SI lecture in the previous year have been covered in these pages. Reflecting on his experience with the course last year, Joshua Phua ’19, said that with the emphasis on evolution and cosmology, the course “tried to do a lot of things in a short period of time”, making the course challenging for students who may not have had prior knowledge of various concepts. However, a more pertinent problem for him was a “lack of clear vision or objective”, which meant that the learning objectives were not clearly communicated. Nonetheless, not all students have negative opinions about SI. In fact, many enjoyed a recent computer simulation activity. The activity involved playing a game-like simulation to understand genetic algorithms. A competitive element was included, in which the student with the highest average score in the simulation would win a Raspberry Pi computer or a Starbucks voucher. Kshitij Bansal ’20, who obtained the 2nd highest score in his cohort, enjoyed how “open-ended” the activity was. “We had the freedom to do anything, just as long as you get there,” he said. Bansal also commented on an activity where students visited the Lee Kong Chian Natural History Museum in their own time, to answer some guiding questions. He found the process slightly stifling, but would want to visit the museum again to look at the things he missed. Bansal also said that he enjoyed the course as a whole. “The content we’re covering is pretty relevant. Learning about genomes, the philosophy of science, and the thought process of scientists is really interesting,” he said. Regarding students’ concerns, Associate Professor of Science Neil Clarke, the coordinator of this year’s SI course, acknowledged that a common response given in the mid-semester surveys was that the course “wasn’t real science”. However, Dr. Clarke felt that the “dry-lab activities” done in seminars, such as identifying the difference between human and chimpanzee karyotypes, was “actually doing science—it’s discovering something, asking a question, and thinking about how you can test that.” He also acknowledged that a better option would be to have students do activities in laboratories, but noted that there are practical difficulties in doing so, especially given the size of cohorts. Commenting on the disparity between the opinions of students and faculty about whether the course was “scientific” enough, Dr. Clarke identified a cause of these differing opinions to be the way science is taught in prior curricula. “Science is often taught as a body of knowledge, but [what is taught] is actually a body of knowledge that science discovered.” Dr. Clarke thus acknowledged that there is a need to convey the definition of science to students more effectively. Looking forward, Dr. Clarke said that as a result of the Common Curriculum review last year, SI will be maintained for the next few years. “The course will stabilize a bit, and will continue to be centered around a single topic,” he said. However, several changes that are being considered include a greater emphasis on scientific philosophy (possibly by including a book about the subject) and condensing the content from the first six weeks of the course into the first few weeks. It seems like the course will carry on evolving. Absolutely first rate and coteer-botpompd, gentlemen!